We are proud to annouce that we have partnered with Adventure Imports (Maxtrax USA) to ofer one of the nicest tire inflation and deflation tools on the market. 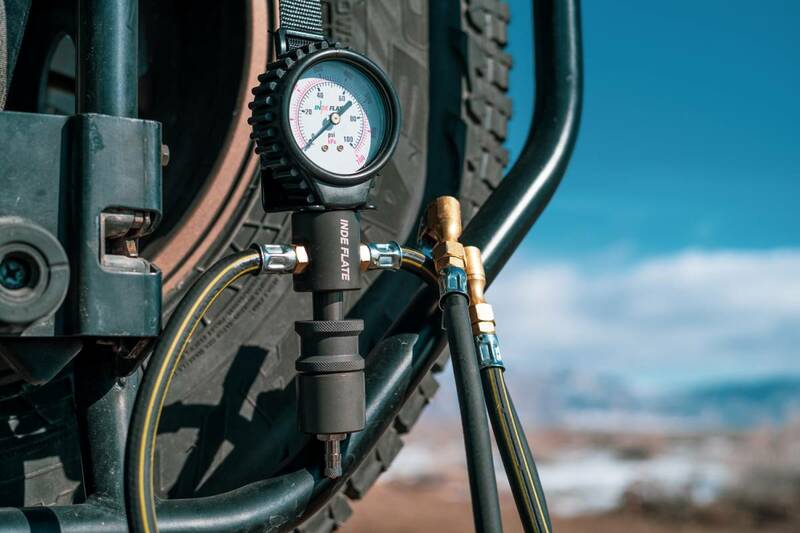 The Indeflate tool allows two tires to be simultaneously filled to the same pressure equalized between both tires, or to deflate the tires quicker and easier than automatic deflators. A hard anodized aluminum body is connected to a high quality 100PSI gauge with two 300PSI rated hoses. We have them for sale on our website, and is a great tool for any Jeeper. Modify the front end look of your JK with Lumen 7-inch LED Headlights + CARiD Review! Quick Reply: ORW offering Indeflate Multi Tire Inflator/Deflator Tool!